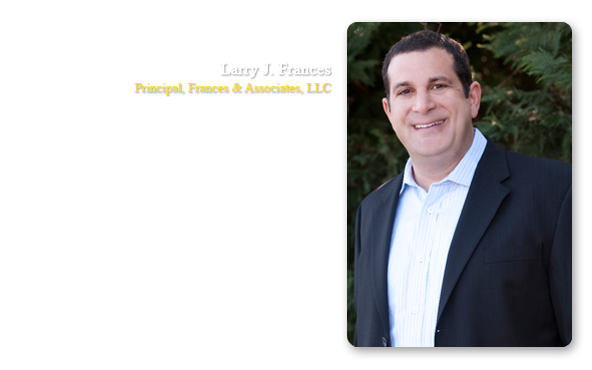 Contact Frances & Associates, LLC for inquiries regarding representation. Frances & Associates, LLC is a transactional law firm dedicated to satisfying the legal needs of real estate developers, owners, landlords, tenants, lenders and business owners. Located in Annapolis, Maryland, we provide representation not only to local and regional clients, but also to those with a national presence. We provide our clients with cost effective transaction management, high-level expertise, creative solutions to complex problems, and unflagging commitment to personal service. Our firm has have extensive experience in land acquisition, financing, development and disposition, all aspects of anchor, small shop and out-parcel leasing, and entity formation, restructuring, transfers and governance. We represent noted national and regional commercial real estate owners and developers, retail and office tenants ranging from small, local operators to large chains and corporations, various lenders, small and large business owners and real estate investors across the country.